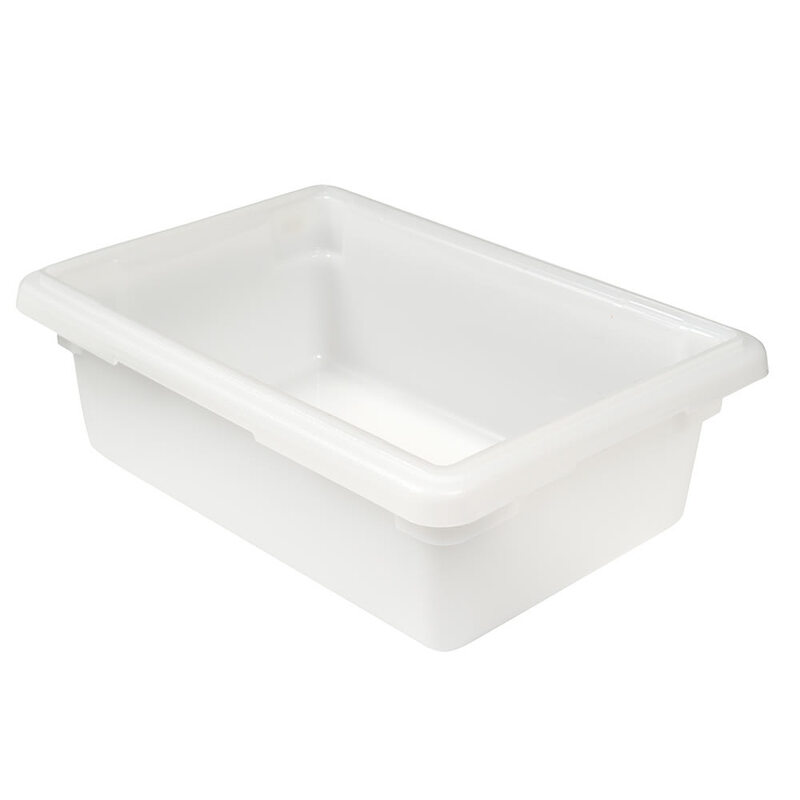 The Cambro 12186P148 food storage box has a 3-gallon capacity and is made of white polyethylene to resist odors, stains, impact, and chemicals. It is dishwasher safe and can be used in temperatures from -40 to 160 degrees Fahrenheit. Integrated handles simplify carrying and a textured bottom reduces sliding and scratching.